Following the summer 2015 release of Jody Glenham's two-song debut single with backup band the Dreamers, the Vancouver singer-songwriter has offered up a nocturnal and spacey video for the record's "RSVP." You can catch the video online now. 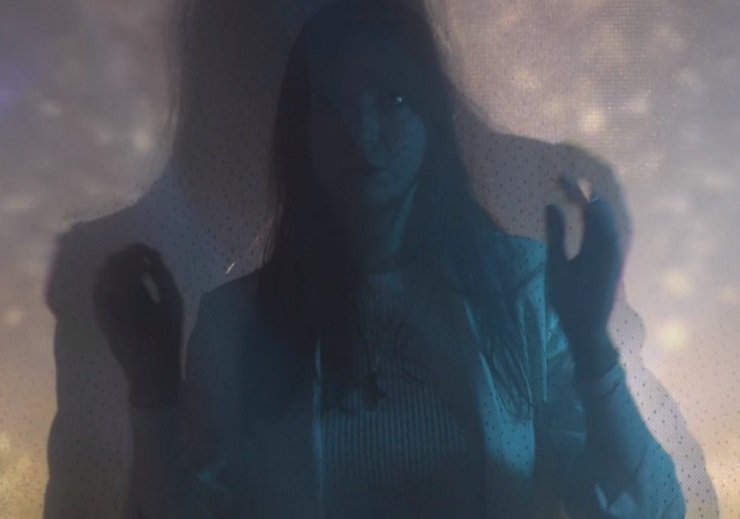 Scored by a mix of melancholy melodies and Hope Sandoval-informed vocals, the video has Glenham slowly exploring some sort of astral plane, contemplating past miseries while basking in the glow of projected constellations. Perhaps meshing with the tunes past-obliterating lyrics ("you told me you didn't miss me"), she also hangs on to a soon-to-be-dissipated cloud. Directed by Megan-Magdalena, "RSVP" also features art and visuals by Lauren D. Zbarsky and Erica Lapadat-Janzen. You can stream the video below. Jody Glenham and the Dreamers "RSVP" / "Ill Wind"